Tattnall County is named for Josiah Tattnall, the governor who signed the 1801 legislative act that established the region. Montgomery and Washington counties gave up part of their territories to create Tattnall. Reidsville, the county seat, honors Robert E. Reid, a superior court judge and territorial governor of Florida. Tattnall County ranks in the top five for agricultural production in the state and is the Georgia leader in production of the world famous Vidalia Sweet Onion. Poultry production, because of nearby Claxton Poultry, is a large contributor to agricultural income. The county produces more than 41 million broilers per year, making it one of the largest poultry producers in south Georgia. Forestry is also a major economic force in Tattnall County, where a majority of the land is forested. The county's largest industiral employer is the Rotary Corporation in Glennville with about 450 employees. The company's extensive product line includes lawn mower parts and accessories such as blades, filters, spark plugs, tires, belts and pulleys, wheels, trimmers, edger blades, ignition parts and engine components. The company has expanded twice since opening and constructed a one million square foot expansion to move a subsidiary, Duramatic Products, from Ohio to Glennville. Duramatic is now the county’s second largest manufacturer with 125 employees. Rayonier owns 100 acres between Reidsville and Collins where Fulghum Fibers operates a contract wood chip/raw log mill to supply the Jesup pulp mill and other Rayonier lumber mills. This facility takes advantage of the area’s surrounding pine forests, and employs a number of local workers. Other major non-manufacturing employers include the North Tattnall Farm Center in Collins that utilizes a 100,000 square foot warehouse to supply bulk fertilizer to the region’s sweet onion farmers, and employs 25-30, mostly truck drivers. Several controlled atmosphere cold storage facilities have been built by large onion farmers in the county to extend the marketing season. The largest employer in Tattnall County is the Georgia Department of Corrections with three state prisons in the county employing nearly 1,400 people. Tattnall County has good transportation access, including two U.S. highways (U.S. 280 and U.S. 301), a number of important state routes, and several connections to I-16. All of the county’s municipalities, except Manassas, are located on the Wiregrass Trail (Georgia 57), a short-cut connector between I-16 and I-95. Georgia 121, once known, and again being promoted, as the Woodpecker Trail, also transects the county. U.S. 280 is an important east-west route in Georgia, traversing from I-16 near Savannah to Columbus and beyond. Glennville is located on U.S. 301, once a major north-south arterial for the East Coast of the U.S. and with potential for revitalization with further upgrading. Tattnall County is working in partnership with the Georgia Institute of Technology's Economic Development Institute to develop the county's economy through the use of technology-driven solutions to its businesses and communities. Southeastern Tech established a campus in Glennville. After having leased facilities in Glennville for a number of years, on June 14, 1994, the City of Glennville gave Southeastern Tech three buildings and the land on which the campus buildings are situated. Also of significance to the Glennville Campus was the award of a Community Block Development Grant to Tattnall County for the construction of a Technology Center, a facility utilized by Southeastern Technical College for adult literacy training, continuing education, and business and industry training. Southeastern Technical College is a unit of the Technical College System of Georgia. Southeastern Tech's main campus is located in Vidalia, with another satellite campus in Swainsboro, and distance learning centers in other counties of its service region. The college provides vocational and adult education to students in Candler, Emanuel, Jenkins, Johnson, Montgomery, Tattnall, Toombs, and Treutlen counties. Tattnall County remains relatively undeveloped with large percentages of its lands in southern pine forests and agriculture. Some growth pressures, as spillover comes from the coast and nearby growth centers, are now beginning to be felt. Impressive and abundant natural and historic resources abound in the county, one of Georgia’s early established counties. These resources include the Altamaha and Ohoopee rivers, the Ohoopee Dunes, the Big Hammock Wildlife Management Area, and the Gordonia Alatamaha State Park. 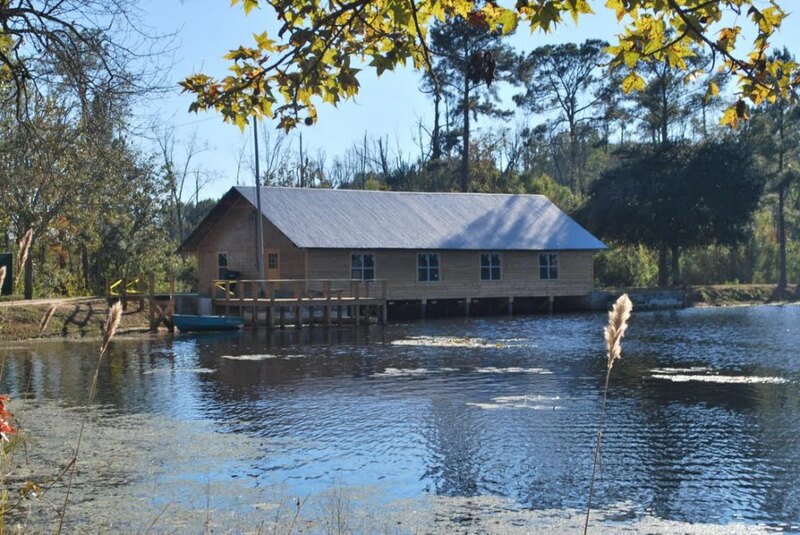 Big Hammock Natural Area and Wildlife Management Area, which contains more than 6,000 acres of hardwood forest along the Altamaha River and offers wildlife watching and hunting; and Beaver Creek Plantation in Cobbtown, which includes 4,500 acres for wild fowl hunting. Gordonia-Alatamaha State Park is named for the endangered Gordonia bay tree, a relative of the rare Franklin tree discovered in 1765 by John and William Bartram. The park offers facilities for fishing, boating and camping, as well as a nine-hole golf course. The Altamaha River is one of the largest free-flowing rivers on the East Coast, and a very impressive and important natural resource of national significance. It was designated by The Nature Conservancy as its first bioreserve in Georgia in recognition of its natural importance. Other points of interest include the Alexander Hotel in Reidsville, built in the 1890s and restored as the Greater Tattnall County Chamber of Commerce and Welcome Center; the Glennville Museum, with exhibits focusing on art, local history, and science;. Tattnall County has many assets for growth because of its location, natural resources and its community commitment.